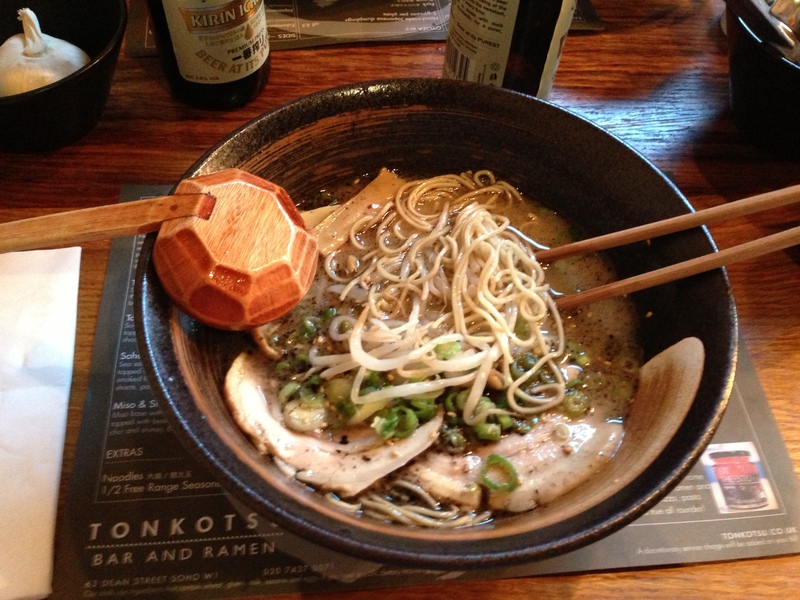 Ramen Nose | Restaurants of the World Unite! 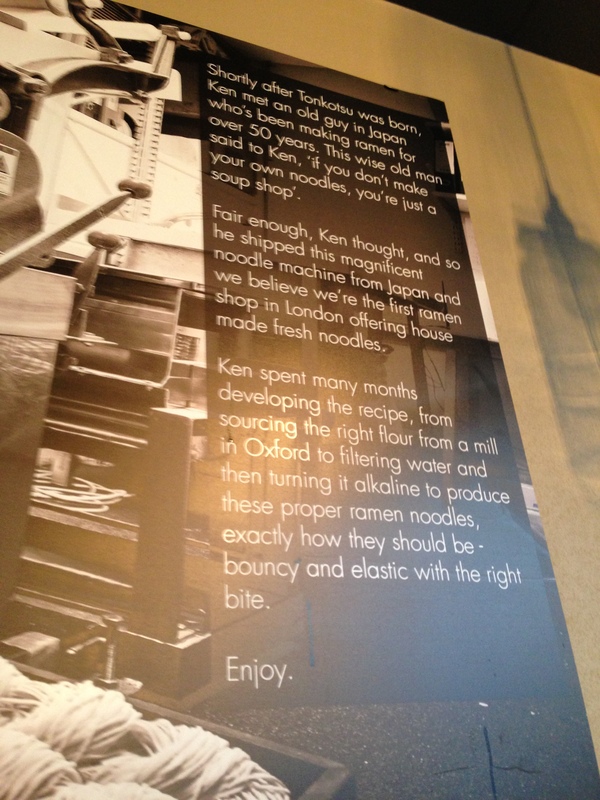 Me, the Missus and our chums, Horse and Filly, succumbed to a yen for ramen this week and headed to Tonkotsu (http://www.tonkotsu.co.uk/) in Soho. 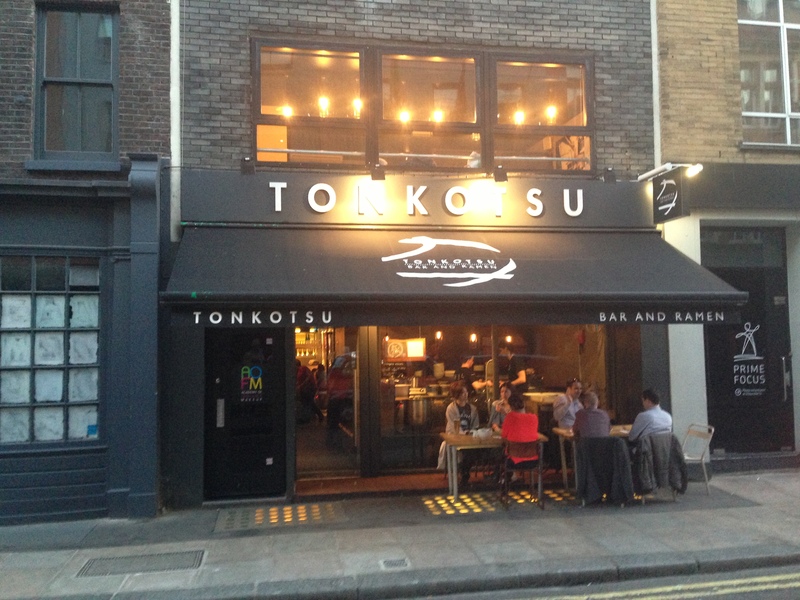 I got terribly excited, because I thought it would be specialising in tonkAtsu, but it was some sort of sick joke and I had to take a few minutes to cry in the bathroom before nipping out to lamp a homeless but couldn’t find a secluded enough spot (Why is so difficult to find a quiet place to beat someone up in Soho?). The place was heaving so we had to queue for a table for four, but the waiter bought up some drinks. 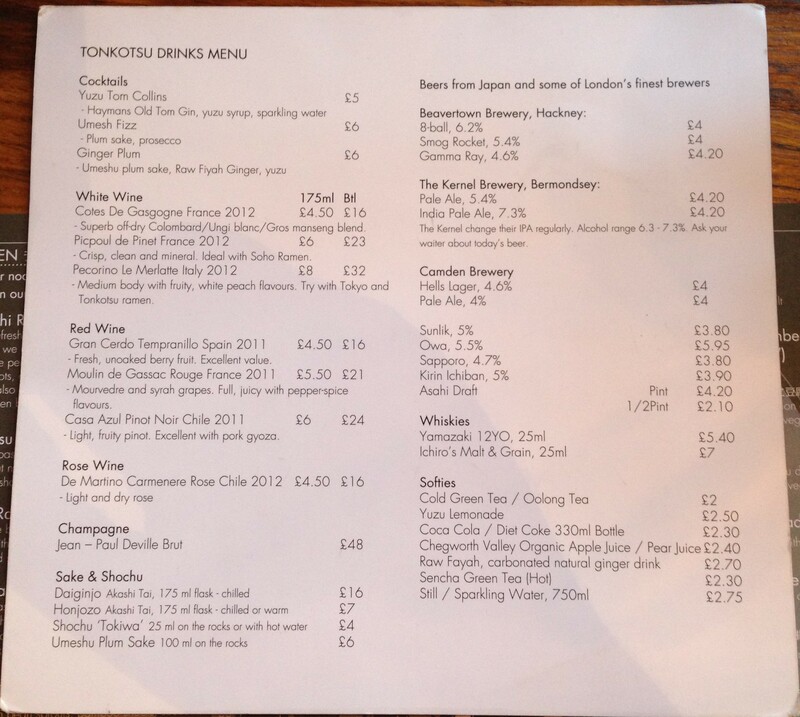 A tall, cool Sapporo for the lads, Umesh Fizz (think Kir Royale with plum wine) for the ladies. 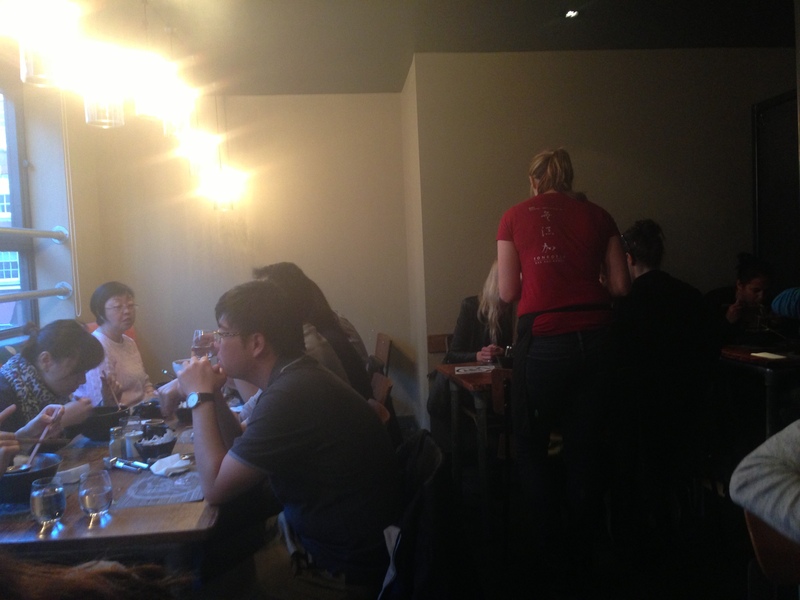 When we were seated it became clear that Tonkatsu wasn’t on the menu, but gyoza were. Disturbingly, there were prawn and veggie gyoza on offer (I’ve made my feelings on this quite clear) but I got the sense that this wasn’t the fudged menu packing that you find elsewhere and were instead genuinely interesting variations. 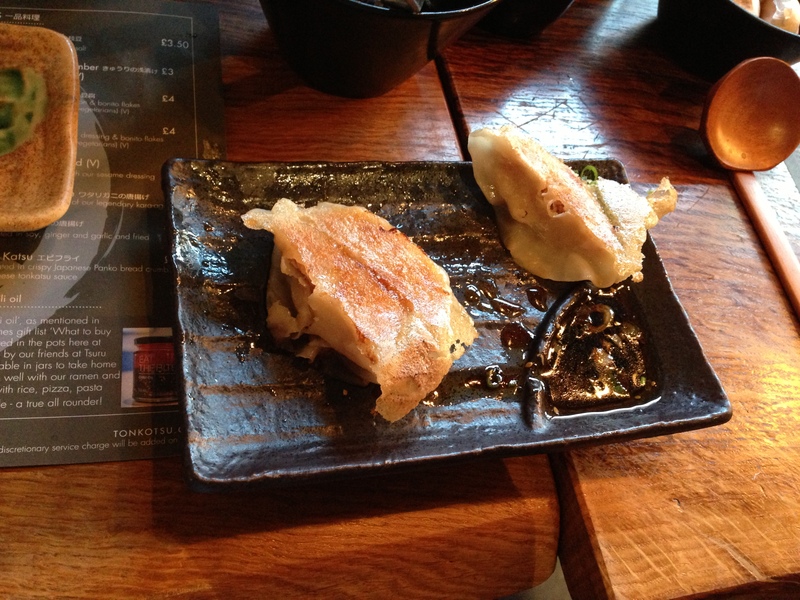 Still, I vetoed anyone from ordering them on pain of more tears and we tucked into the pork gyoza. Encouragingly, and a rarity in London, we were able to mix our own dipping sauce which complimented the phenomenal gyoza I begrudgingly shared. The ramen delivered too. 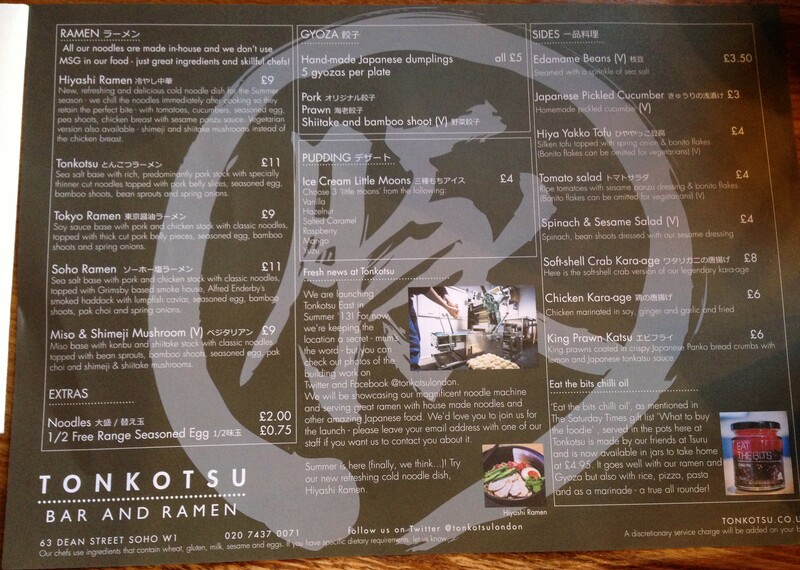 It’s a nicely focused selection on offer and we opted for the Tokyo Ramen (Soy based) and Tonkotsu Ramen (pork stock based). 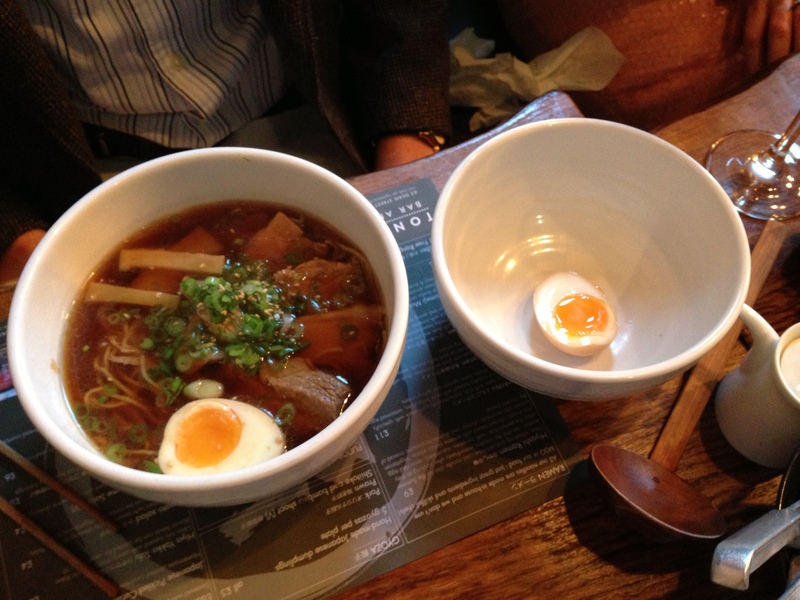 Both were terrific and a topped with beautifully prepared meat, not dry and tasteless as so often the case with ramen. Nice portion size too – I normally inhale the whole thing and am left to moan uselessly on the floor as I fail to digest, but they got it just right. 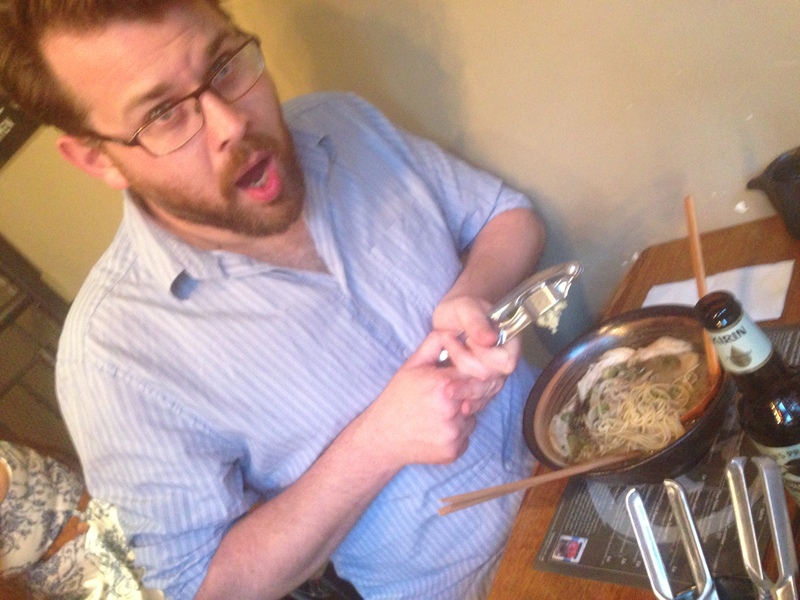 As an extra fudge-you to everyone close to me, I was able to crush garlic into the ramen with the handy cloves and crusher provided on every table. £100 for 4 people including quite a lot of booze. Great atmos and excellent service to boot. 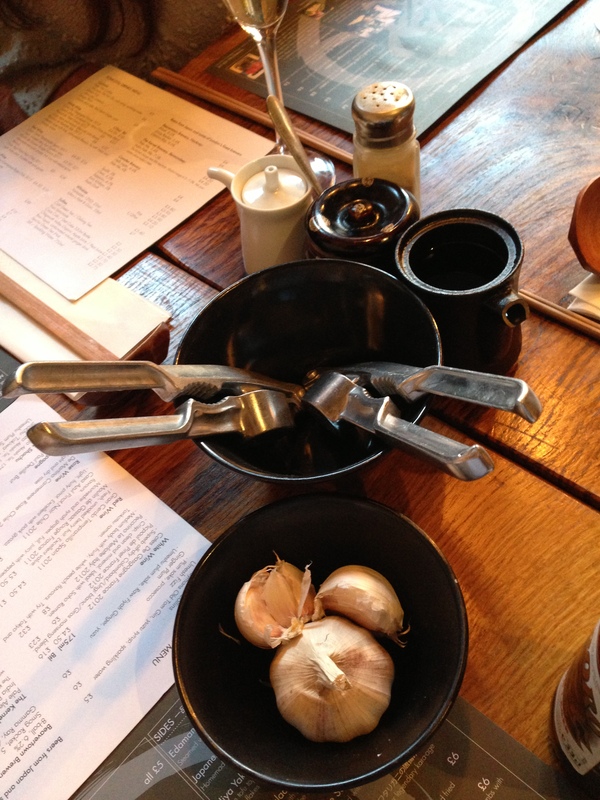 It’s all there: mixing sauces for the gyoza; garlic for crushing; and eye-gougers. Gyoza! Gyoza! Gyoza! Proper gyoza. Tokyo gyoza. And the loneliest half-egg in London town. Tonkotsu’s Tonkotsu ramen. It’s a subtle device to get you to say the word tonkotsu over and over again so that it enters into your subconscious and you think about it in idle moments and when you slumber. Crushing garlic into the Ramen. Climax of the meal? Who the Hell is Ken? Is Ken even your real name? More menus should be this simple. For those of you who thought my new phone would be mean better photography I give you: Blurred, Poorly Exposed, Skewed Interior. It’s my Mona Lisa. We sat upstairs. Flanked by Prime Focus on one side and abandoned Victorian workhouse on the other.